What data wants: putting big data under the microscope. What does “big data” want? Taking Kevin Kelly’s question as a starting point, Genevieve Bell subjects the notion and the reality of “big data” to ethnographic analysis. In this nascent project, she draws on historical examples, and fifteen plus years of fieldwork, she attempts to locate “big data” in time and space. Playing on the notion of “big data” as an ethnographic subject, she teases out different kinds of characteristics of big data – as secrets, lies, responsibilities, stories, and even its own agent. In particular, Bell is interested in the ways sense is made of big data, by whom, and in what circumstances – analytics, algorithms, and sense-making are all in her frame. ISEA2013, proudly collaborating with Vivid Sydney, presents Dr. Genevieve Bell. 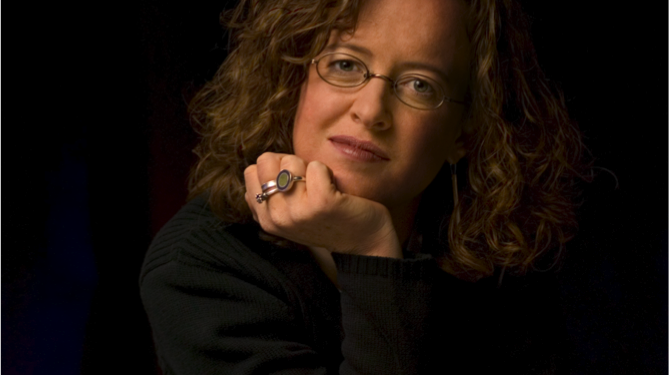 Dr. Genevieve Bell is an anthropologist and researcher with 15 years of experience driving innovation in high tech industry. As the Director of Interaction and Experience Research in Intel Labs, Bell leads a team of social scientists, interaction designers, human factors engineers and computer scientists. This organisation researches new computing experiences that are centred around people’s needs and desires. This foundationally shapes and then helps to create new Intel technologies and products. In this team and her prior roles, Bell has fundamentally altered the way Intel envisions and plans its products so that they are centred on people’s needs rather than simply on silicon capabilities. In addition to leading this increasingly important area at Intel, Bell is an accomplished industry commentator on the intersection of culture and technology and has been extensively featured in publications that include Wired, Forbes, The Atlantic, Fast Company and the Wall Street Journal. She is a regular public speaker and panelist at technology conferences worldwide, sharing myriad insights gained from her extensive international fieldwork and research. In 2010 Bell was named one of Fast Company‘s inaugural ’100 Most Creative People in Business.’ She is a passionate advocate for the advancement of women in technology, and in 2012 was inducted into the Women in Technology International (WITI) hall of fame. Her first book, Divining the Digital Future: Mess and Mythology in Ubiquitous Computing, was co-written with Prof. Paul Dourish of the University of California at Irvine and released in April 2011. Bell is also the recipient of several patents for consumer electronics innovations. A native of Australia, Bell moved to the United States for her undergraduate studies and graduated from Bryn Mawr in 1990 with a bachelor’s degree in anthropology. She then earned a master’s degree and a doctorate in cultural anthropology from Stanford University, where she also taught in the Department of Anthropology from 1996-1998. With a father who was an engineer and a mother who was an anthropologist, perhaps Bell was fated to ultimately work for a technology company, joining Intel in 1998.